Oui oui! Yes, please. 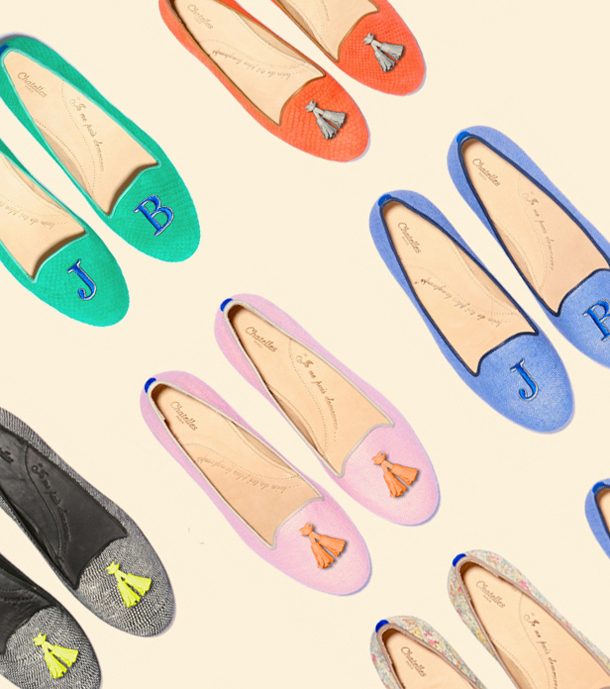 I am currently coveting these adorable slippers from Chatelles in Paris. You can customize them with a cute lil’ tassel or your initials. These would make a great holiday gift for the Moms, Sisters, and Gals in your life. I stupidly forgot that B’s parents were JUST in Paris and I’m sure I could have coaxed them to pick me up a pair. Looks like I’ll just have to head to Pari myself. Darn.